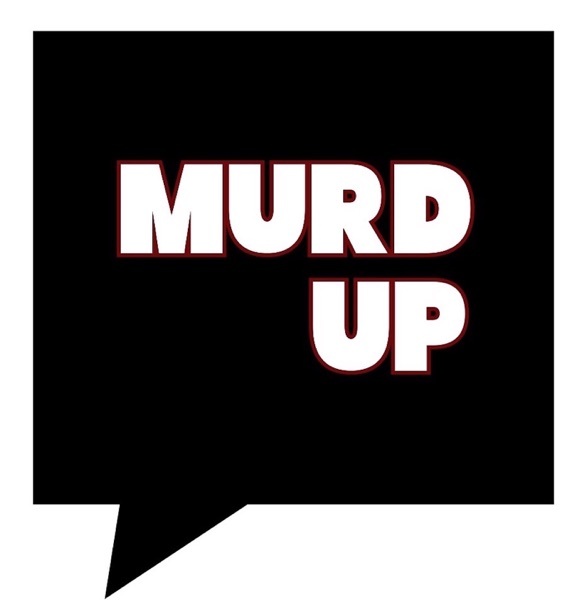 Murd Up Podcast | Listen Free on Castbox. Episode 48: “The Tale of Smotheration”By the time Christine Falling was 10, she had been neglected by her mother and father and shuffled around between family members and foster homes. She was lacking in development skills and exhibited an antisocial behavior, including torturing of small animals (specifically cats). By 14, she was married to a man in his 20s, which didn't last very long. Then, Christine spent two years in and out of the hospital for various "injuries", with no diagnosis. By 1980, Christine was 17 and started babysitting for income. Christine seemed to be a great babysitter, until mysterious events started occurring, in almost every situation where she was left in charge of a young soul, with Christine claiming a voice told her to “kill the baby”. Episode 47-2:“The Tale of the Bow-legged James Dean”Charlie Starkweather, as a child didn’t seem to care about school, despite having a high IQ and eventually dropped out in the 9th grade. Two years later, he was dating a 13 year old named Carli Ann Fugate. Carli’s parents didn’t approve of the relationship with the 18 year old Charlie, and eventually tried to keep the couple apart. But Charlie, who was a James Dean lookalike with a nihilistic attitude towards life, wasn’t about to go down without a fight. In January 1958, Charlie and Carli went on a 8 day shooting spree, killing ten people (11 total within two months), which eventually went on to inspire the movie, Natural Born Killers, as well as many others. Episode 47-1:“The Tale of the Bow-legged James Dean”Charlie Starkweather, as a child didn’t seem to care about school, despite having a high IQ and eventually dropped out in the 9th grade. Two years later, he was dating a 13 year old named Carli Ann Fugate. Carli’s parents didn’t approve of the relationship with the 18 year old Charlie, and eventually tried to keep the couple apart. But Charlie, who was a James Dean lookalike with a nihilistic attitude towards life, wasn’t about to go down without a fight. In January 1958, Charlie and Carli went on a 8 day shooting spree, killing ten people (11 total within two months), which eventually went on to inspire the movie, Natural Born Killers, as well as many others. Episode 46: “The Tale of The Ice Cream Murders”On one warm April night in 1967, Connie Hevener and her sister-in-law, Carolyn Perry, were working at Carolyn’s family owned ice cream shop located in Staunton, Virginia. The shop had just extended their hours for spring and the girls were closing up, after a successful day. However, right before closing, while the girls were in the back room counting the day’s deposit, someone entered through the rear door to the shop, shooting both Connie and Carolyn, before stealing $138 from the deposit and running out into the night. For the next 30 years, the authorities pointed the finger at a local in town, despite not having enough evidence to convict him, so the case and indictment remained open. That was until 2008, when new information surfaced that lead to the arrest of someone else...and shocked the community. Episode 45-2:“The Tale of the Kansas City Butcher”As a child, Robert Berdella Jr. was a quiet loner, with bad eyesight and a speech impediment, who was on medication due to high blood pressure. By the time he was a pre-teen, his father pretty much loathed him and heavily favored Robert’s younger brother, Daniel. Once he hit puberty, Robert realized he was gay, which he kept secret due to it being the early 1960s. But when he got into college, he flourished, until he was asked to leave the school due to questionable “art” projects.Robert seemed to be a good, though eccentric neighbor to those living on Charlotte Street, though little did they know that Robert had kidnapped, raped, tortured, and murdered at least six men between 1984 and 1987. Episode 45-1:“The Tale of the Kansas City Butcher”As a child, Robert Berdella Jr. was a quiet loner, with bad eyesight and a speech impediment, who was on medication due to high blood pressure. By the time he was a pre-teen, his father pretty much loathed him and heavily favored Robert’s younger brother, Daniel. Once he hit puberty, Robert realized he was gay, which he kept secret due to it being the early 1960s. But when he got into college, he flourished, until he was asked to leave the school due to questionable “art” projects.Robert seemed to be a good, though eccentric neighbor to those living on Charlotte Street, though little did they know that Robert had kidnapped, raped, tortured, and murdered at least six men between 1984 and 1987. Episode 44: “The Tale of the Skate Boarder Extraordinaire”Due to situations beyond our control, Daniel wasn’t able to join in on the episode this week. Instead of skipping a week, we decided that I would tell a story that Daniel is very familiar with and one we wouldn’t do for a regular episode. Daniel will be back next week, don’t fret!Mark Anthony "Gator" Rogowska was one of the key players responsible for the massive vert skateboarding boom in the 1980s. Propelled to super stardom by the time he was 21, Gator was the face of Vision Skate Wear, had money, fame, and a seriously cute girlfriend named Brandi. But then, skateboarding took a turn and the culture shifted to a style of skating that Gator was not use to. Suddenly the fame and fortune seemed to be drying up and Gator was lost. Then, when Brandi dumped him, Gator saw his entire world crash down and he proceeded to make the worse decision of his life. Episode 43: “The Tale of the 7 Day Search”Maddie and Jessie Clifton, daughters of Steve and Shelia, were well known in their neighborhood in Jacksonville, Florida, and very close with their parents. the family lived across the street from the Phillips’, Steve and Melissa, who had a son name Josh. Josh was a couple years older than Jessie and Maddie, and was known to be a loner and somewhat inappropriate with the neighborhood children. Eventually, the Clifton’s decided that Josh was bad news, and told the girls that they didn’t want them hanging out with him, and also informed the Phillips, that Josh was no longer welcome on their property. After a couple weird occurrences in the Clifton’s home, while they were away on vacation, eventually things started occurring weekly and then daily, causing the Clifton’s to get the authorities involved but there wasn’t much to report as nothing was taken from the home. Then, one evening in November, Maddie suddenly went missing. Episode 42: “The Tale of God’s Gift To Everyone”Levi Bellfield thought he was “God’s Gift to Everyone”, though that was far from the truth. Levi was an angry and moody character, who had total control over the women that he dated and was a shady businessman, as well. When young women around London, started getting brutally attacked and killed and others went missing, authorities began an exhaustive search, which eventually led them to Levi. Episode 41-2:“The Tale of all the Blood”Jodi Arias was an ambitious and driven woman, though most described her as having an odd behavior, that made them uneasy. Jodi was attending the Mormon church and working for a legal services company, when she attended a conference in Las Vegas Nevada, where she met Travis Alexander. Despite already having a live in boyfriend, Jodi began a relationship with Travis, which quickly turned sexual. Eventually Jodi broke up with her boyfriend and moved to Arizona to be closer to Travis, but things didn’t work out. The couple continued to have a sexual on-again-off-again relationship for over a year and a half, before Travis met another girl, and began dating her. He eventually told Jodi he wanted her out of his life forever, which she did not take very well. Then, shortly after this conversation, Jodi went out of town for the weekend. While she was allegedly out of town, Travis was killed in his bathroom while showering....and Jodi had several different stories about the events of his death.